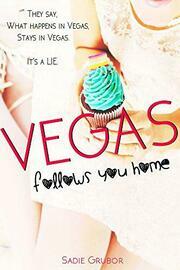 "We are going to Vegas. We are going to Vegas!" They used the damn Blue's Clues theme music to their lyrics. It's a trip with friends. A single girl's celebratory getaway. Olivia Harlow finishes the biggest job she's been offered since starting Harlow Cakes, her custom and specialty cake shop and bakery. So, it's a Vegas weekend for Olivia, the level headed, single mother, with her life scheduled. There is no way she could guess what would happen and who would follow her home. His search is over. After rising up from the ashes of his life and the pain, he found them. Now that he has them, there is no letting go. "I think we should talk, discuss a few things that you seem to be unclear about." Smiling he grabs my hand, my left hand. Bringing it up to my face, he holds it alongside his. "See anything familiar? Perhaps something matching?" "You've gotta be kidding me," I exclaim. My eyes are locked onto my very own matching band of gold. "I'm afraid this isn't a joke." His intense eyes scan over my face. "Oh, right, I'm so sorry. I don't know how this happened." Heat flushes my skin, the embarrassment and mortification doing their job. "Well, I'm pretty sure the margaritas and shots had something to do with it, but I assure you this isn't something I would normally do. I'll contact a lawyer and we can get this taken care of as quickly as possible." Swallowing back a tornado of emotions, I try to move around him. His arm winds around my waist, pulling my back into his chest. "You aren't getting rid of me that easily." He whispers. The heat from his breath along with the intensity in his words both panic and excite me.